In the book of Acts, Ananias and Sapphira held back part of the land price. They said it was the full amount, but in thinking they were lying to man they were actually lying to God. Why? Because when we give into the ministry, we’re giving to God not man. Their ‘giving’ actually killed them. In Malachi, the offerings angered God because they were giving blind and lame animals to God. Malachi 1:8, When you offer blind animals in sacrifice, is that not evil? And when you offer those that are lame or sick, is that not evil? Present that to your governor; will he accept you or show you favor? says the LORD of hosts. We can’t try to work out who/what “needs to be blessed”. 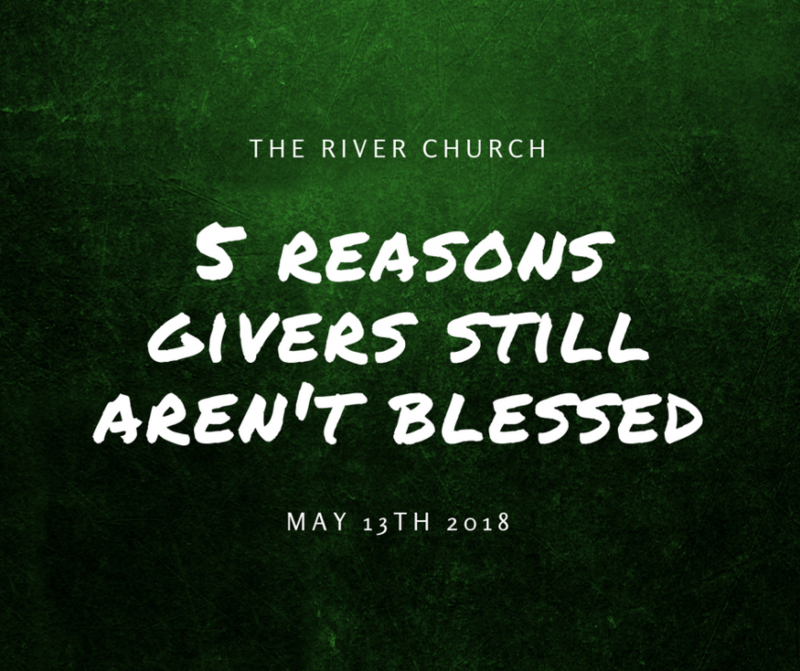 In fact, much giving that’s done in the church is just needs based giving. You have to break yourself of the mentality that you only give when there’s a need. Are you giving to God, or are you giving to a need? When you’re only giving when there’s a need, you’re only giving when you ‘need’ to give. You should give freely. You should bless the rich, you should bless the poor, you should bless your enemies, you should bless the brethren; you should just be a BLESSING no matter who it is! God’s rain falls on every person. The Bible says Abraham was “very rich” (Gen 13:2), but God told Abraham in Gen 12, “I’ll bless those who bless you”. Boy, if I knew that and lived during the time of Abraham, I would find a way to bless that man, even though he didn’t need anything because he was already rich!! Why? Because in blessing him, God said I’d be blessed! Some people give, and expect you to owe them something. Sadly, this is something that local churches experience far too often. This is not giving, this is manipulation. A Believer should never try to control people or organizations with their “generosity”. Others give because they enjoy the recognition and praise of man. If you give with that attitude, that’s the only reward you’re going to get! Why sell out true riches that can be obtained with a pure heart for the praises and recognition of man? Who cares if man recognizes your gift if God thinks it’s pathetic? Giving to control where it goes and what it does also isn’t true giving. “I’ll give this, if you use it on xyz.” Or “I’ll give if you do make these changes/do this” There is nothing wrong with blessing people towards something specific, but not when you’re deliberately trying to control. For some, though they give, they’ve not yet broke free of a poverty mindset and fear, and deep down believe God is not going to honor His word about the blessing. Your mouth is a revealer of what’s in your heart, if you’re a giver and yet still say things like “I don’t know how we’re going to make it.”, “It’s so hard serving God”, “I can never afford that.” You are revealing what you truly believe in your heart. Never call cursed what God says is blessed! Never call God a liar! There is more than enough blessing for everyone. God doesn’t want you worried about your own blessing. Seek first the kingdom of God, be a blessing to others, your harvest is on its way!